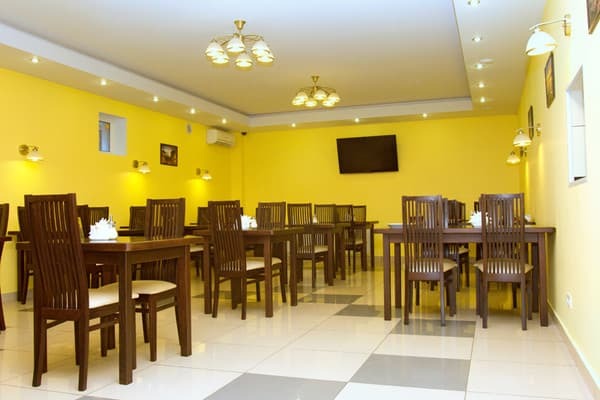 Hotel "Miletus" is a modern hotel, offering comfortable accommodation and accommodation on the Black Sea coast. 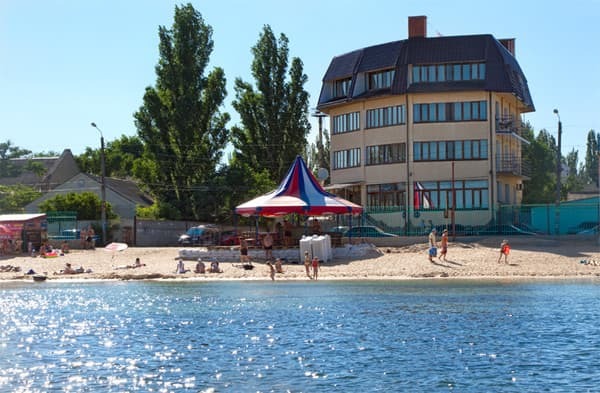 The hotel is located on the Black Sea Embankment in the Aivazovsky District, 10 meters from the sea. Comfort, care, friendly staff will make staying in the hotel unforgettable. Hotel "Miletus" consists of 19 spacious rooms for family and individual rest, from which a beautiful view of the sea. Accommodation in the guest house "Miletus" will be interesting for honeymooners who prefer romance, for families with children and couples in love, for businessmen and top managers, as well as for all who value quality rest and European service. Free Wi-Fi is available. On the territory of the hotel is located a cafe, provided only for guests of the guest house "Miletus", that is a cafe of a closed type. 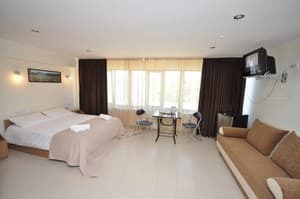 Description of the room: This room is dominated by elegant simplicity and comfort, so that the rest in Feodosia was as comfortable and carefree as possible. 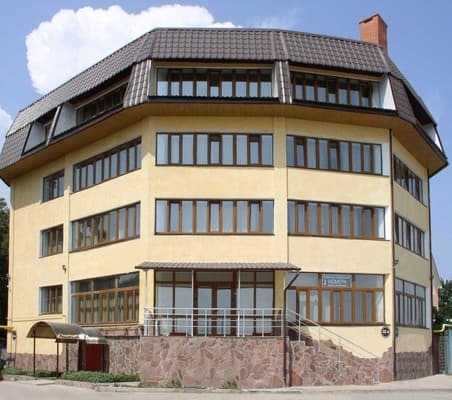 The area is approximately 17 square meters. 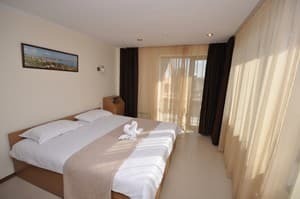 This room is equipped with two single beds with a comfortable mattress, modern furniture - everything you need to get rid of fatigue after a busy day by the sea. For an additional guest of the room, a comfortable folding chair-bed is offered. Description of the room: The room is decorated in light colors, which gives a feeling of volume, lightness, space and light. In the room everything is created to ensure a comfortable stay in it: a comfortable double bed, a cozy sofa bed, large windows overlooking the sea. The average area of ​​the room is 26 square meters. The maximum number of guests of the room is four (two main places and two additional ones). Description of the room: This two-room spacious suite of 40sq.m. combines the comfort, comfort and beauty of summer holidays. The room is a spacious living room, equipped with a coffee table and a soft corner, a bedroom with a comfortable bed, a bathroom equipped with everything you need, a huge balcony with panoramic sea views. For extra guests, a large sofa bed is available. The maximum level of comfort, excellent service and only pleasant impressions are waiting for in the deluxe category. The maximum number of seats is four (two main and two additional). Children are accepted from any age, a baby cot is provided for the youngest guests. From the bus station of Feodosia or the railway station Aivazovskaya (located each other across the road) to the hotel to go 10 minutes on foot.